Jason Avant shots a selfie with cousins Eric Leva (left), 11, and Michael Ferraro, 10, from Barrington at his Launch Trampoline Park in Deptford. The former Eagle wide receiver opened the park two years ago and will soon open a second one in Delran, and then later a third in Newark, Del. Former Eagles wide receiver Jason Avant was using his trademark speed in a new arena. How can businesses benefit from mindfulness? We asked some Philly experts. Avant was drafted by the Eagles in 2006 and had his career highs with 41 receptions for 587 yards and 3 touchdowns in 2009. He received the Eagles’ Ed Block Courage Award, voted by team members in 2010. Four years later, the Eagles released Avant before his second contract was over. He went on to brief stints with the Carolina Panthers and Kansas City Chiefs. In 2016, offers were flying at him from the Seattle Seahawks and Atlanta Falcons, but he had already signed a franchising agreement a year before for up to $2.8 million in investments for the Deptford site. Andre Morales and Genesis Garcia of Deptford play with their 18 month-old daughter Sierra Morales at Launch Trampoline Park. The 32,000-square-foot trampoline park features 15,000 square feet of jumping space with virtual-reality laser arcades. The arcade midway at Launch Trampoline Park in Deptford. 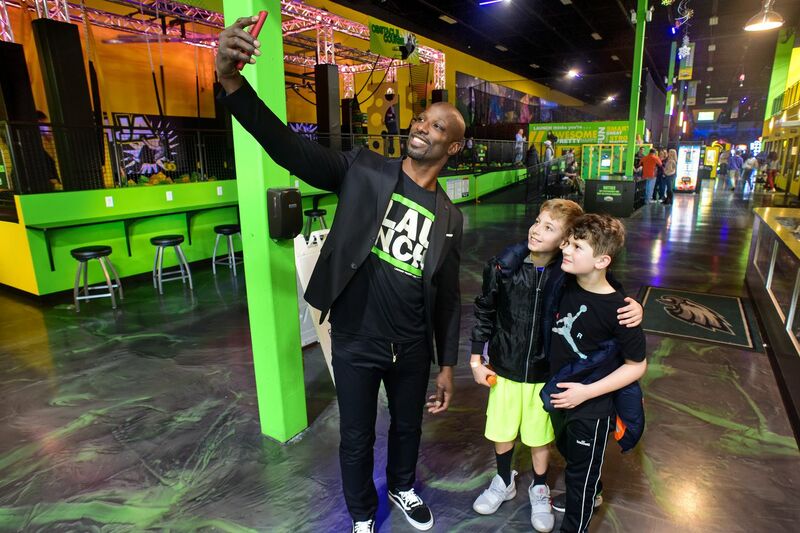 The park is owned by former Eagles wide receiver Jason Avant, one of many former pro athletes in franchise businesses ranging from juice brands to gyms.